School is back in full swing and many kids are hungry when they arrive home from a busy day of school. 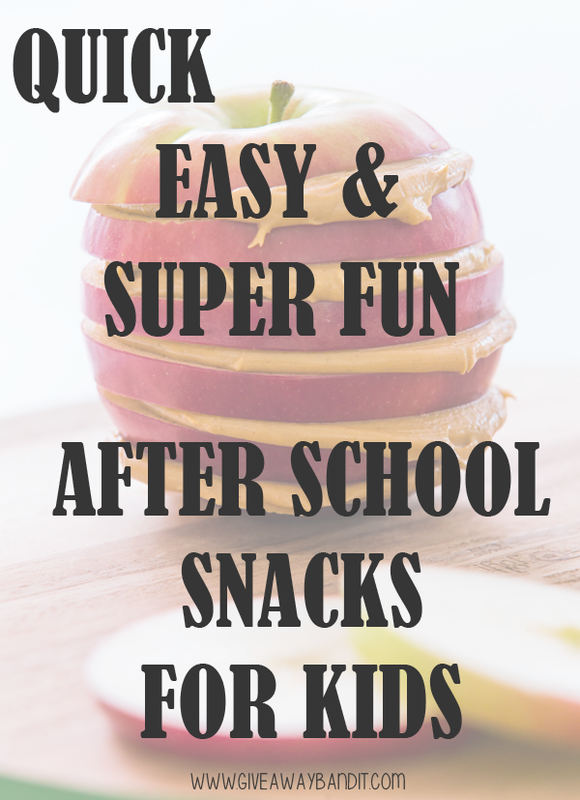 Try these quick, easy and super fun after school snacks for your kids from FamilyFun magazine. They are delicious snacks that are perfect for after school or those busy weekdays and will satisfy a hungry kid! Get your kids involved when making these fun recipes! 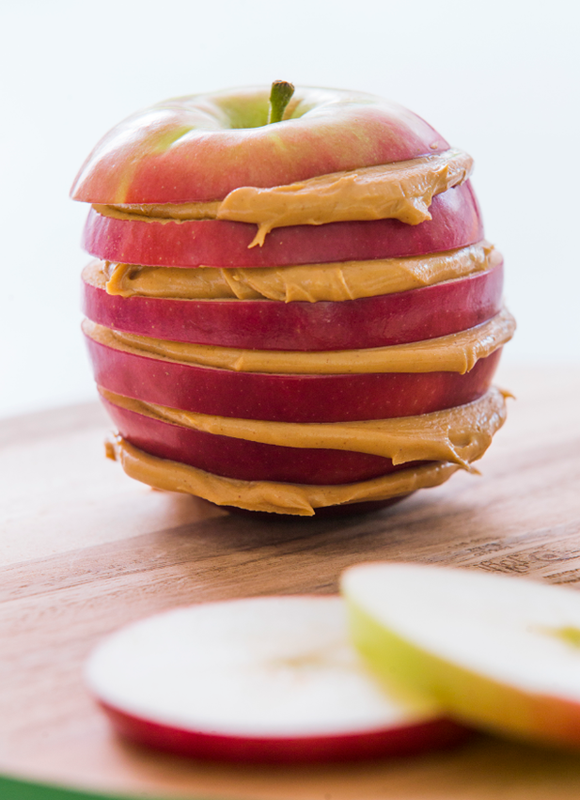 Try this fun stackable apple snack with peanut butter. A familiar combo gets a lofty treatment in this filling after-school bite. To prep it, slice a small apple crosswise, core the pieces, and place a few tablespoons of peanut butter in a bowl. Give your child a spreader and let him build and eat his own stack. Or, try this fun calculator snack recipe. Your kids will be crunching the numbers while they snack! Let them decorate it with a variety of fun toppings such as M&M’s, nuts, chocolate chips and more! We’ve done the math, so we know you can count on this cute calculator to add fun to the first day of school. To make one, use a serrated knife to trim a graham cracker sheet into a shorter rectangle (ours are about 3½ inches long). Cut a rectangle from a plain chocolate bar and attach it with chocolate frosting. Trim away the tips from three butterscotch, chocolate, or white chocolate chips. Use more frosting to attach them, along with nine M&M’s Minis candies, as shown. You can also make your kids school lunch more fun too. Try this kids lunch box recipe for Halloween. Or, another great snack idea is our kids Kool-Aid JELL-O popsicles. Make snacking and lunch time fun for your kids. Many kids enjoy helping cook or create new recipes. It is a great way to include them and teach them along the way! Our son loves getting involved in the kitchen whether it’s making a snack or cooking supper. What are your kids favorite after school snacks? Leave a comment below and share with us. Always looking for new snakes for after school to surprise the kids with. Ty! The apple idea was so simple I wish I had thought of it, thanks for the ideas. What fun snacks. Thank you for sharing with us!!! What great recipes for kids. Thank you for sharing these with us. These are great snacks, I really like the calculator one! Thanks a lot for posting. My mom used to set out sliced apples, bologna and cheese. That was probably my favorite after school snack. I’m always running out of time so I so love this. Those calculator confections are quite cool! These recipes look like such fun! It can be a challenge to get kids interested in eating healthy. Sneaking it in this way is fantastic!